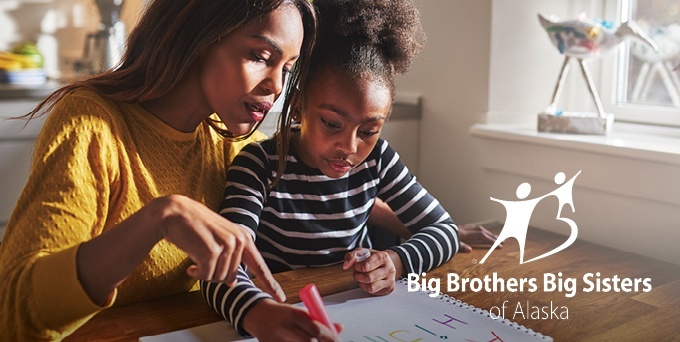 CU1 is accepting donations for Big Brothers Big Sisters of Alaska in any branch or via an Online Access transfer to account 457311 S1.8. Since 2013, CU1 and our generous members have helped raise $17,000+ (or an average of $4,250 per annual fundraising month) for BBBS! Together, we hope to meet and exceed this number in May. As always, 100% of proceeds will go to the receiving organization. Whether you manage your money in-branch or online, we make it easy to donate – and every penny helps make a big difference in the lives of Alaskan littles! Recruiting new Big Brother and Big Sister volunteers. Covering the costs of background checks, while ensuring trained professionals match Littles to responsible Bigs. Enabling ongoing supervision and relationship support for every Big, Little and Little’s family. Providing cultural and social activities to enrich the opportunities for children. To learn more about Big Brothers Big Sisters of Alaska, check out this inspiring video!